Pressure cook the rice along with 2 cups milk and one cup water for three to four whistles. When it is cool, open the cooker and mash it with back of a spoon. Keep it on low flame and add sugar. Stir continuously. 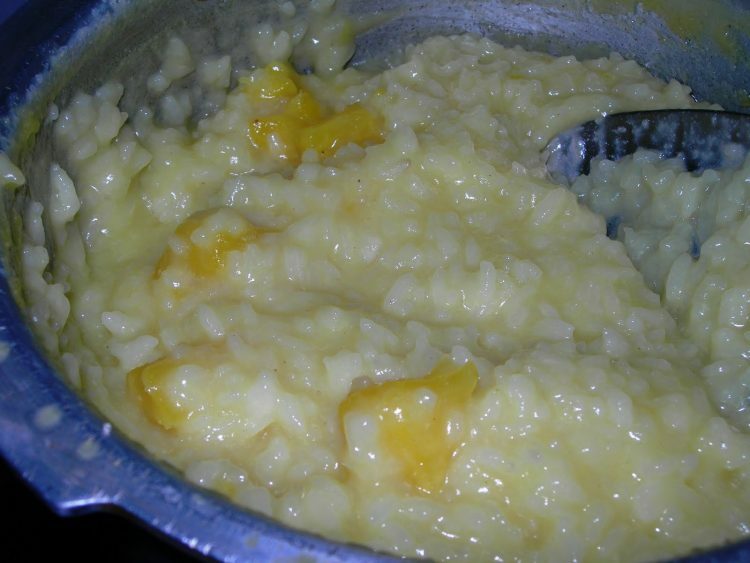 When the sugar melts and blends well with the rice, add pineapple pieces and syrup and mix well. Add condensed milk and cook on low flame till it thickens. Add sliced pista and remove. Note: You can use tinned pine apple along with the syrup instead of fresh pineapple. Instead of condensed milk, one cup coconut milk can also be added. If you desire, you can add few drops of yellow colour. Depending upon the sweetness of the pineapple, you can increase or decrease the quantity of sugar according to your taste.